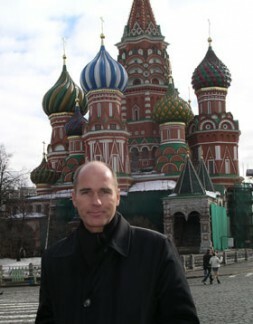 Dr. Hubertus Hoffmann, President and Founder of the World Security Network Foundation, at the famous Basilius Church at the Red Square in Moscow: "As a long-term and dependable friend of Russia, and also one of the few remaining supporters of President Vladimir Putin who has also done much good for his unstable Russian nation in creation, the current Russian “Nyet!-Policy” in foreign affairs, in my opinion, runs in the wrong direction. This confrontational policy is the completely wrong priority for Russian society and for foreign policy; it blurs the primary focus on radical internal reforms, without which Russia will never catch up with the West. In other words, Russian national policy threatens to become a mere shell without a core, a long term victim of its own perceptions of nonexistent threats, and of its own propaganda." The end of this week is showtime in Russian-European relations: the planned summit in Samara will be at best only a meeting with minimal results, not a fresh start for relations with the West after a long cooling period. The ban on Polish meat by Russia for "hygiene reasons" provoked a veto from Warsaw on entering official EU negotiations for a partnership treaty with Russia. The government of the small new EU country of Lithuania is angry as well: the oil flow through the Druschba pipeline stopped a year ago. It is not the Cold War again, but cold wording, suspicion, anger, and emotions. At the premiere of a play in Moscow, a charming and elegant Russian ambassador pulls me aside and whispers, “Poland would like to encircle Russia; that is something the Kremlin can never allow.” I listen politely and wait for him to make the point, “but 141 million Russians can't possibly be afraid of 38 million Poles!” To no avail; the diplomat means this seriously, and I am speechless. Change of scene: in the Estonian capital of Tallinn, a monstrous Russian war memorial is relocated from the city center to another location. To the Estonians, the Russian soldiers were occupiers and not at all their liberators; following the Hitler-Stalin pact of August 1939, the small country was simply occupied in June 1940 and incorporated into the USSR against the will of the population. Now Russia’s honor seems in danger. The results: unrest in Estonia by militant Russian demonstrators; angry protests in Moscow where the Estonian Ambassador is caught up; and a mysterious cyber war against official Estonian websites. When I was the chairman of the International Advisory Committee of the Estonian liberation hero Tunne Kelam fifteen years ago—who was at the time president of the “Eesti Committee”—I was one of the most passionate advocates of legally binding equality and optimal treatment for the large Russian minority in Estonia, something which cost me considerable sympathy among some overly nationalistic Estonians. This type of nationalistic aggression has provoked particular sadness in me. It is time now for the Russian president to apologize for the 1940 invasion under the Red Flags of Joseph Stalin, and time also for the Estonian president to start a fresh reconciliation policy with the Russian minority in his country. Missile defense: President Putin threatened, in a recent speech, to freeze the agreement on conventional forces from 1990 because of a dozen defensive missiles and a radar station targeting Iranian rockets; this system will perhaps be placed in Poland and the Czech Republic five years from now. Kosovo: a small state in the Balkans aspires to independence. The UN rapporteur Martii Ahtisaari, the U.S., France, and the UK support their desire; but Russia contemplates a veto in the UN Security Council. Georgia and Ukraine: in both nations there are significant forces aspiring to NATO membership. This is a nightmare for many Russian politicians, who attempt to stir up feeling against it. Human rights: NGOs are only allowed to work in Russia with state approval. In this way, the support of independent groups through organizations such as the British Freedom House are stopped. Opposition in any form seems to be a threat to the strong state dogma of President Putin and not a necessary system of checks and balances, as in the West. "With respect to the global competition with the U.S., the modern EU, and the Chinese Dragon on its eastern front, confrontation is not in Russia’s national interest; better a strengthening of her cooperation with the U.S. and a better relationship with the EU." As a long-term and dependable friend of Russia, and also one of the few remaining supporters of President Vladimir Putin (who has also done much good for his unstable Russian nation in creation: see Hubertus Hoffmann, President Putin: let us start a common vision for a democratic future of Russia in the EU now! 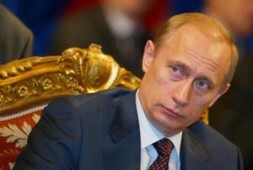 ), the current Russian “Nyet!-Policy” in foreign affairs, in my opinion, runs in the wrong direction. This confrontational policy is completely the wrong priority for Russian society and for foreign policy; it blurs the primary focus on radical internal reforms, without which Russia will never catch up with the West. In other words, Russian national policy threatens to become a mere shell without a core, a long term victim of its own perceptions of nonexistent threats, and of its own propaganda. This Nyet!-Policy will only make the radical nationalistic forces like the Communist Party, with its 185,000 members and millions of supporters, stronger and more radical. We see this already in our exclusive WSN interview with its leader Gennady A. Zuganov, by WSN Editor Russia Dmitry Udalov. "Inflaming tensions now with its neighbours and the Western world, and moving toward confrontation and Russian nationalism, will also set his successor on this course. 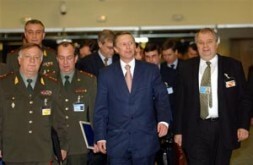 His successor will most probably be former Defense Minister and current (since only February) First Deputy Premier Sergey Ivanov (here with Russian Generals visiting NATO Headquarters), the representative of the strong power and national wing, and not the more business development oriented rival, First Deputy Premier Dmitry Medvedev. This will turn the entire nation in the wrong direction and from 2008, at least four more years of necessary critical internal reforms will inevitably be lost." Both governmental structures and the 141 million people of Russia need to devote all their energy with laser beam-like concentration on rapid, far-reaching internal reforms à la Emperor of Russia Peter the Great (1672- 1725). This progenitor of Russian reform policies turned a backward nation completely inside out and opened Russia to modern ideas from the West. 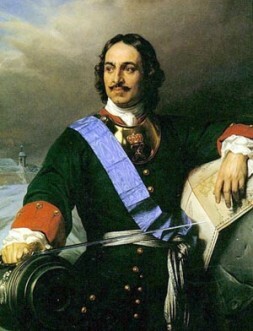 Peter the Great was Russia's greatest reformer, implementing hundreds of reforms including banning traditional Muscovite dress for men, clipping of the beards of his nobles, introducing military conscription, technical school, simplifying the alphabet, changing the calendar, and changing his title from Tsar to Emperor. He reduced the old backwards-looking forces, opened up the country to modern dynamics, and renewed it from inside by prioritising a courageous reform policy. If President Putin fails to recognize this offside situation, he will not go down in Russian history books as a great statesman and reformer as Vladimir the Great, but rather as another interim president like Boris Yeltsin and Mikhail Gorbachev. Unfortunately for the status of Russia in the 21st century, the reform process under Putin is much too slow, too superficial, not radical enough to have deep results, and is supplemented by the credo of a strong state and centralized power in the Kremlin. This is not what Russia needs, nor what it will need even more in a globalized world with ever more competition. Today, the Kremlin feels quite comfortable sitting on its massive energy resources, but soon this policy will backfire and a window of opportunity to change Russia from a backward, post-communist colossus on weak feet to a strong, modern nation competing successfully with China in the East and the EU in the West will be missed. Worse still, inflaming tensions now with its neighbours and the Western world, and moving toward confrontation and Russian nationalism, will also set Putin’s successor on this course. His successor will most probably be former Defense Minister and current (since only February) First Deputy Premier Sergey Ivanov, the representative of the strong power and national wing, and not his more business development oriented rival, First Deputy Premier Dmitry Medvedev. This will turn the entire nation in the wrong direction and, starting from 2008, at least four more years of necessary critical internal reforms will inevitably be lost. Nothing is to be won from a foreign Nyet-policy of confrontation; it creates mistrust, even promoting more U.S. influence as a protection and numerous other counter reactions, which ultimately do more harm than good to Russian national interests, as lost victories. With respect to global competition with the U.S., the modern EU, and the Chinese Dragon on its eastern front, confrontation is not in Russia’s national interest; better a strengthening of her cooperation with the U.S. and a better relationship with the EU. An almost total dependence of the economy on natural gas and oil, and windfalls from high raw materials prices. By economic standards, Russia is still a third world country needing investment and know-how from the West. If one were to add together the necessary financing that the Federal Republic of Germany has provided for the former GDR since 1990 - estimated at USD 1,500 billion for a small former communist country with only 17 million inhabitants - Russia’s financial requirements for a complete modernization of its territory would be upwards of six times more: around USD 9,000 billion needed within the next two decades. An older population with a decline of half a percent per year reducing the population from 141 million down to below 100 million by 2050. "Both governmental structures and the 141 million people of Russia need to devote all their energy with laser beam-like concentration on rapid, far-reaching internal reforms à la Emperor of Russia Peter the Great (1672- 1725). This progenitor of Russian reform policies turned a backward nation completely inside out and opened Russia to modern ideas from the West. Peter the Great was Russia's greatest reformer, implementing hundreds of reforms including banning traditional Muscovite dress for men, clipping of the beards of his nobles, introducing military conscription, technical school, simplifying the alphabet, changing the calendar and his title from Tsar to Emperor. He reduced the old backwards-looking forces, opened up the country to modern dynamics, and renewed it from inside by prioritising a courageous reform policy." Low life expectancy of only 60 years for men and 73 years for women. In the U.S.: 75 and 81 years respectively. Corruption at most levels of the bureaucracy, politics and the judicial system. For example, in the highest election court in Moscow a candidate of the new "Just Russia", even when supported indirectly by the Kremlin itself, had to pay a judge USD 100,000 in order for the candidate to be accepted in the local elections. Above all: Russia is still suffering from its ineffective bureaucracy. State officials are paid too little and therefore have to look for side deals every day. Since 1990, the state has doubled the number of bureaucrats, while the territory they have to administer has shrunk from 22 to 17 million square kilometers and the population from 288 to 141 million people. The decision making process takes too long and the legal system is unpredictable. Corruption and mismanagement can only be fought through a critical free press and a political opposition, and even President Putin himself has not been able to successfully limit both. Freedom is the oxygen for, and foundation of, knowledge, development, and progress. Powerful countries are developed because they are free (see Hubertus Hoffmann: Einstein’s Lessons for Today’s Foreign Policy). An unsettled, dangerous relationship between Orthodox European-oriented Russians and the strong Moslem minority especially in the South; a “have-it-both-ways” policy with respect to the powerful southern power Iran and its nuclear ambitions, which threatens above all neighbors like Russia; and the still-bleeding wound called Chechnya. Russia has 20 million Moslems (10-15% practicing) with a higher birth rate, but only 15-20 percent Russian Orthodox. Many are simply non-believers as a legacy of Soviet doctrine. As early as 2040, the Moslem population could exceed the traditional white Russian population; an existential threat to the identity of Russia. Russia needs a purifying review to come to terms with its own history under the Communist Party, the crimes of Stalin and his failed colonial policies, which during the late days of the USSR brought Moscow more disadvantages than advantages. Russia needs power and strength through truth, rather than the fostering of a phantom pain of losing a completely rotten totalitarian empire. Russia’s true friends must now, in a friendly but open dialogue, take on the function of a catalyst for a new definition of the Russian soul and its position in the world. Neither arrogance nor submissiveness are called for, but rather a dialogue in partnership. General (Ret.) Dr. h.c. Klaus Naumann, Former Chairman NATOs Military Committee and Chief of Staff German Federal Armed Forces - an exclusive WSN TV interview. The young and influential Foreign Affairs Spokesman of the CDU/CSU in the German Parliament, Eckart von Klaeden, missed above all “future concepts” in the speech by President Putin at the Munich Security Conference. "An open and honest policy of critical dialogue and partnership of the EU and the U.S. with Russia combined with a clear “Nyet to Nyet!”-Policy is needed. The EU and the U.S. should pursue a Policy of the Outstretched Hand with respect to the internal development of Russia, technology transfer, and economic cooperation in a spirit of partnership including a necessary Energy Charter." An open and honest policy of critical dialogue and partnership with Russia combined with a clear “Nyet to Nyet!”-Policy. The EU and the U.S. must sponsor a clear and formal principle of non-involvement in the internal affairs of the new Eastern European States, which Russia claims for its internal decision making, combined with a dialogue about fundamental human rights and a protection of minorities in both Russia and the Baltic states. The reactions from the EU should be concentrated and multilateral rather than national. The EU and the U.S. should pursue a Policy of the Outstretched Hand with respect to the internal development of Russia, technology transfer, and economic cooperation in a spirit of partnership including a necessary Energy Charter. After staking out a common position on fundamental foreign policy questions such as Kosovo, Iran, the Middle East, and terrorism, Washington and Brussels should seek common, case by case solutions with the Kremlin early on, rather than involving Russia at the end of the process. Russia should now provide a contribution to the solution of world problems as an equal partner, rather than falling back into the old patterns of their Nyet-rhetoric and old times schemata of alignments with the interests of the enemies of counterpart U.S.A. The new security structure of Europe and the threat of Iran, including air and missile defence and international terrorism, should be dealt with early on in the NATO-Russia Council, including Russia as a constructive partner with open discussion of all new weapon systems and installations in Russia and NATO. I belong to the minority which is optimistic about the long term development of Russia and its relations with the West. What we can see now is to be expected and in line with comparable developments of empires in the last: the suffering of a lost empire and the wish, after years of chaos, to have a strong leadership with national pride again. The West and especially the White House need patience and should also demonstrate respect for the Russian people and good will towards their leadership. This has to be combined with self confidence and more friendly dialogue on all levels of politics, military, economy and culture. We have to win the hearts and minds of the Russian elite and the fresh, younger generation. Doing so, we will find a good, reliable new friend in Moscow. "In Russia, we are Reviving and Restoring our Cossack Heritage: We must always stay loyal to the State"